Okay, I bet your first question is “What the heck are shampoo bars?” Well, I’m glad you asked! 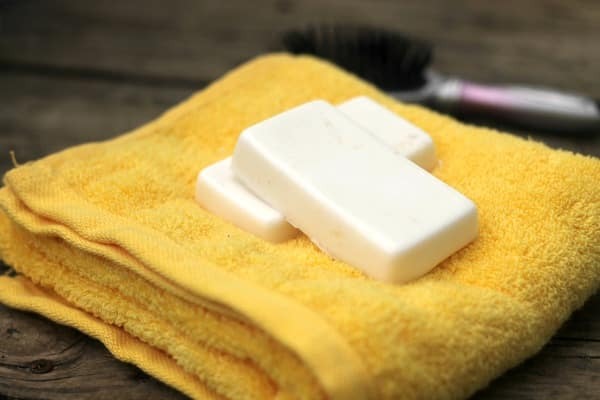 Shampoo bars are not some newfangled invention… in fact, they were the norm back in the days before bottled shampoo and conditioner were formulated. They’re simply shampoo in bar form (like a bar of soap). At this point, your next question is probably, “So what, why should I use shampoo bars?” Am I a mind reader or what? Anyway, again, I’m glad you asked. Shampoo bars have started to make a real comeback as more and more people search for natural and healthier ways to take care of their hair. Depending on where you live, you most likely won’t find shampoo bars on your grocery store shelf. 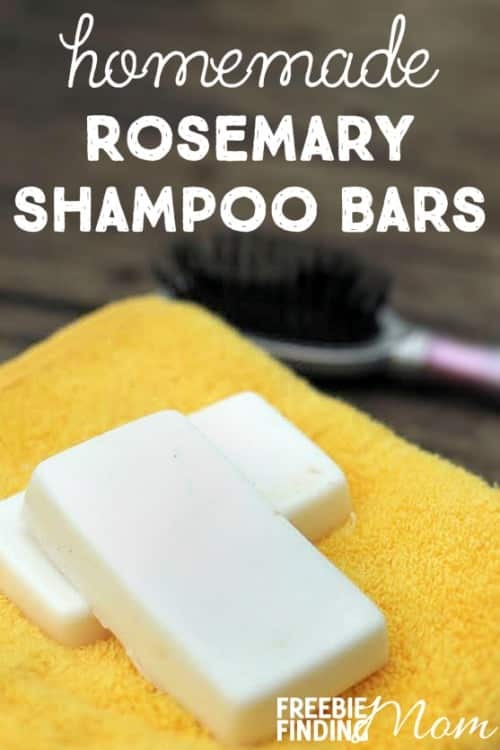 You can probably find them in organic stores, specialty boutiques, and of course, on the Internet; however, that means paying some big bucks… or you could just whip up your own homemade shampoo bars. 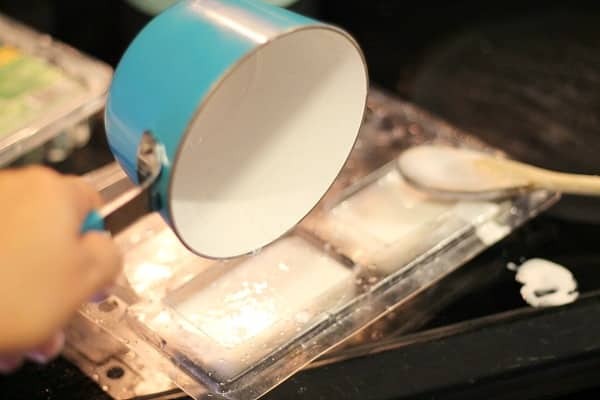 Homemade shampoo bars aren’t difficult to make. They only require 4 ingredients and approximately 15 minutes to make (not including cooling time to harden). 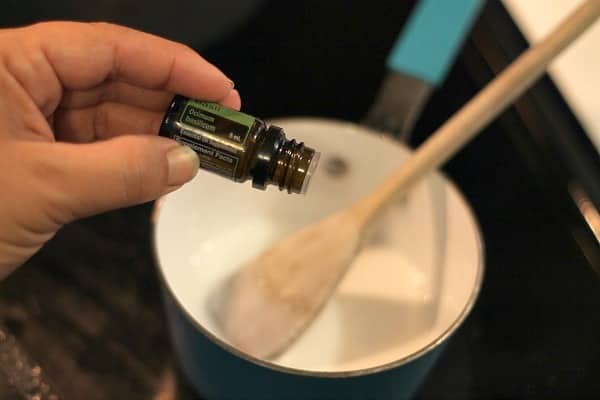 Plus, when you make homemade shampoo bars you can add additional essential oils if you please to customize your scent. Homemade shampoo bars can help eliminate frizz and soften your hair. In fact, you may not even need conditioner. Shampoo bars in general have been quite a hit with the curly-haired community. People with curly hair have reported that shampoo bars provide better curl definition and more manageable curls than bottled shampoo. So go ahead… give these homemade shampoo bars a try today. Bonus: Since this recipe will make more than one homemade shampoo bar, you can gift some to your friends and family. They’re sure to love them! 1. Chop shampoo base into smaller pieces (approximately 1”x 1”). 2. Place cubes in a small pan over medium low heat, stirring frequently until melted completely. 3. Remove from heat and let it cool for 3-4 minutes. 4. 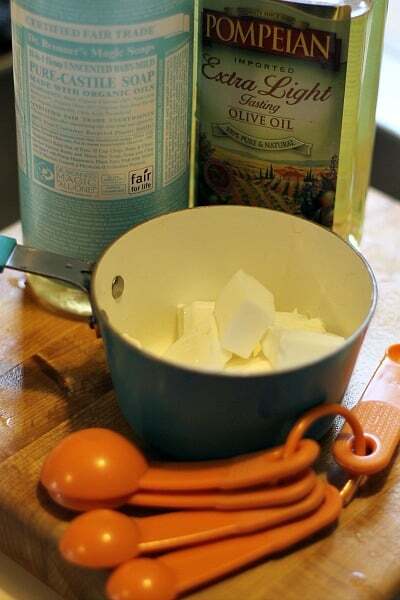 Stir in castile soap, olive oil and essential oil. 6. Allow soap to firm up. Note: I like to let mine sit overnight. It really doesn’t take that long, but it is simple to pop these homemade shampoo bars out once they have thoroughly hardened up. 7. Store in a dry, cool place and avoid leaving your homemade shampoo bar in the direct spray of the shower to make it last longer. from the recipe of “rosemary shampoo brars:…..melt and pour shampoo base? what exactly is this? I really really want to make my own shampoo bars. I love the stuff from LUSH but they are expensive!! And they are so much better for your hair than the bottled ones with chemicals in them. Why do you need social security number?